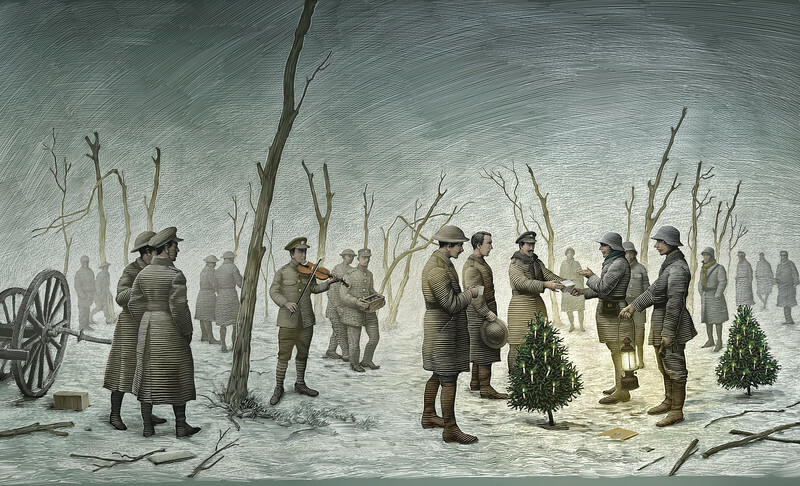 San Diego Opera presents ALL IS CALM: THE CHRISTMAS TRUCE OF 1914, a co-production with Bodhi Tree Concerts and SACRA/PROFANA, December 7, 8, and 9m, 2018. Part of the Detour Series. Illustration by Scott McKowen.